who help companies solve difficult problems related to logistics and supply chain. We provide big-firm expertise without the big-firm price. retailers of all sizes, in many industries, to decrease costs and enable growth. shorten supply chain cycle times and enable growth. And more. If it’s related to supply chain management, we have the expertise to help. from $10 million to $10 billion. entertainment, music, construction, printing, logistics and more. Analyzed the international reverse logistics operation of the world's largest manufacturer of computer hard drives. Pinpointed problem areas related to returns and refurbishment (which Seagate management had attempted to do, but was unable), and developed recommendations for reducing cycle time by more than 50%. Conducted a formal TMS software package selection, guiding HP to select the best TMS for their business needs. Constructed future state design with estimated savings of $24M per year. Thomas Phelps was selected to be Project Manager for "the most complex i2 TMS implementation ever attempted." Conducted a logistics evaluation process for the largest record company in the U.S. The project simplified the carrier structure for all WEA distribution centers and produced a 15% reduction in annual logistics costs. Improved inventory management for this global aerospace company. Reduced direct and indirect materials costs. Reduced direct bill-of-materials costs. Developed and implemented use of barcoding for improved inventory control. Reduced excess and obsolete inventories. Led a large group of Nissan personnel through process improvement. Conducted facilitated sessions and documented current state processes and problems, conducted visioning sessions and guided future state design, developed root cause analyses and solution recommendations, and established key performance metrics. Conducted an assessment of the international supply chain of this electric guitar and amplifier company, including manufacturing in China and Japan. Developed recommendations to reduce manufacturing lead time by 50%. Reduced the number of carriers by 75% for this major supplier to Home Depot, and produced a 12% reduction in annual transportation costs. Managed the inventory consolidation of two facilities into one. Improved inventory management and control. Significantly improved inventory accuracy. Redesigned stock room layout and processes for greater efficiency. Reduced inventory levels and costs while increasing fill rates to the manufacturing floor. Led a large project team through conceptual design and pilot configuration in the implementation of i2 Technologies Transportation Manager and Optimizer. Design included integration to SAP and a WMS (Warehouse Management System), as well as process and organizational change requirements. Identified areas of process improvement and cost reduction. One of Alloquor's suggestions was implemented before the final report was even presented, and that one savings measure alone more than covered Alloquor's fees. This computer electronics company was being challenged by fast growth. Alloquor assessed the current supply chain problems, developed recommendations for long-term supply chain strategy, and implemented near-term tactical improvements. Helped resolve problems that encompassed the entire U.S. vehicle logistics operation. Conducted methods improvement analysis that saved Mazda $1.3 million in annual transportation costs by determining the most cost effective methods of shipping all Mazda automobiles to its US dealers. Much of this experience was gained while employed as a management consultant with two Big-5 consulting firms known for their thought leadership in supply chain: Andersen Consulting (now known as Accenture), and Ernst & Young Management Consulting (now known as Capgemini). He also served as Vice President of a large third-party logistics company that specialized in same-day fulfillment and delivery. Lyle Perrigo has focused his consulting career on helping middle-market companies improve their supply chain, manufacturing, and information technology effectiveness. 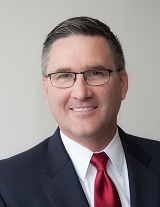 His past clients include BMK L.P., Hub Distributing, Anchor Blue Retail Group, Calera Capital, Water-Tite Products, Weld-On, SciGrip, and Dunn Edwards Paints. For these clients, Mr. Perrigo has developed strategic plans for supply chain, manufacturing, and information technology organizations, created analyses of diverse supply chain initiatives, led projects implementing recommended improvements, trained employees on six sigma, lean logistics, and lean manufacturing methods, and filled vacant senior management positions at clients to enable them to operate effectively while searching for talent. Mr. Perrigo’s expertise includes the physical and systems processes associated with supply chain and manufacturing operations, which allows him to focus on operational improvements and technology improvements concurrently. 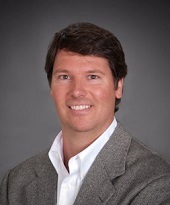 With 15 years of leadership experience in supply chain management, logistics and warehouse management, and information technology prior to becoming a consultant, Mr. Perrigo understands the practical challenges that confront management teams in their efforts to continually improve the efficiency and effectiveness of their supply chain and logistics operations. He is fluent in English and Italian, and is proficient in Spanish as it relates to warehouse and manufacturing operations. 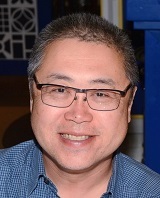 Alvin Wong has worked with companies of all sizes in many industries to improve their supply chain, sourcing and procurement, and inventory management practices. He has helped clients such Honeywell, Pactiv/Reynolds, Cisco Systems, CenturyLink, Caterpillar, Kaiser Permanente, Amgen, Activision, Electronic Arts, Roll Global, Ball Corp., British Petroleum, Auto Club of No. Calif., Corridor Capital and others to apply leading cross-industry supply chain practices to improve operations. The projects for these clients have delivered millions of dollars in quantifiable supply chain savings. Mr. Wong’s experience encompasses a broad range of disciplines, such as supply chain strategy, logistics operations, Lean/Six-Sigma, and other disciplines such as Finance, IT, and Marketing which enables him to take a 360° approach to helping his clients improve their business. 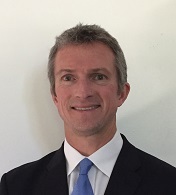 He was a management consultant for almost 15 years with two Big-5 consulting firms, helping them to build their supply chain practices: Accenture and Deloitte Consulting, and still serves as a Supply Chain advisor to a local southern California private equity company. Charley Johnston has over 15 years of international manufacturing, distribution and supply chain systems experience for Fortune 500 companies, mid-size businesses and start-up ventures. His experience includes working for respected consulting firms UTi, UPS and Fortna Supply Chain Consulting. He has done consulting work for leading companies such as PetsMart, Sur La Table, Under Armour, RJ Reynolds and SABIC Plastics. Some of his other professional experience includes various manufacturing and distribution positions with Intel Corporation, Mobility Electronics and BMK Distribution. Many of his projects include international work in China, Singapore and Mexico. Completed a network analysis, for a consumer product manufacturer, that determined optimal locations for new manufacturing and distribution centers. New network created $1.4M in annual supply chain savings. Conducted DC analysis, design and implementation for a major US retailer. Determined optimal DC location then designed and implemented new 870,000 sq. ft. logistics center resulting in a $710K reduction in annual transportation and distribution expenses. Led distribution center redesign and implementation project for a $200M specialty retail company. Updated primary distribution operation, reducing annual operating expenses by $1.2M. For a leading semiconductor manufacturing company, utilized Lean Manufacturing principles to reduce WIP over 35% and reduce manufacturing cycle times from ten days to four. Charley is a past board member of the Arizona chapter of the Council of Supply Chain Management Professionals (CSCMP) and an active member of the California chapter of CSCMP. He is also certified in lean manufacturing and project management. 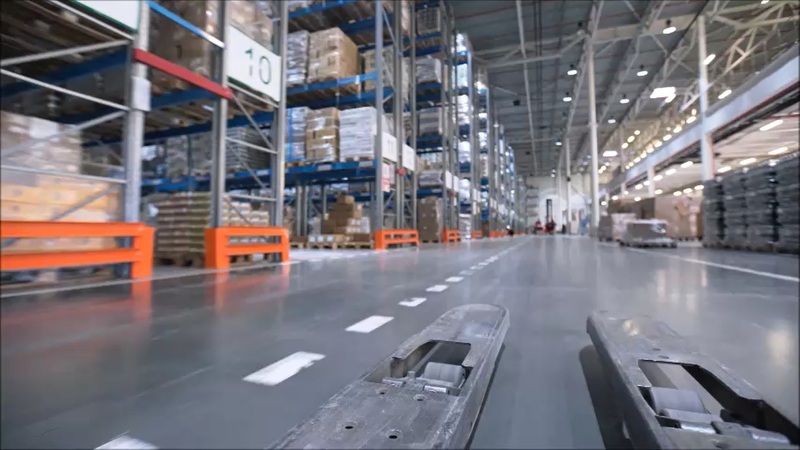 Alloquor Consulting associates have deep expertise in every aspect of logistics and supply chain management, including technology as well as process areas. No matter what your logistics and supply chain management problems may be, we have associates with the expertise to solve the difficult problems. And more... If it’s related to supply chain management, we have the expertise to help. Alloquor Consulting provides big firm expertise, without the big firm price. Generally, our services don't cost a penny. Most projects are self-funding, with a very fast payback period and an ROI many times more than our fees. And certain projects can be performed completely on contingency, with no risk at all to the client. For more information, contact Alloquor today. and is available to provide services worldwide. Where does the name "Alloquor" come from? encourage continuous improvement and best practices, so the name seems quite appropriate. Supply chain excellence is a competitive advantage. Many companies don't realize that in today's marketplace, they are not competing product v. product so much as they are competing supply chain v. supply chain, and the company with the most efficient and effective supply chain will be the company that gains market share and profitability. For instance, let's look at the market for personal computers. When the average consumer goes to the store and shops for a PC, does he really care if he buys a Compaq, HP or Dell? Not really. They may have a few minor feature differences, but they're basically the same. So, which company will get the sale? The company that provides the right PC at the right place at the right time for the best price. And providing the right product at the right place in the right quantity and at the lowest price is what supply chain management is all about. "Why should I be concerned with Logistics or Supply Chain Management?" "What kind of payback or benefits can I expect from improving my supply chain?" reduce costs and improve supply chain effectiveness.